One of the most inspiring and impressive fashion exhibitions I have been to is The Fashion World of Jean Paul Gaultier. 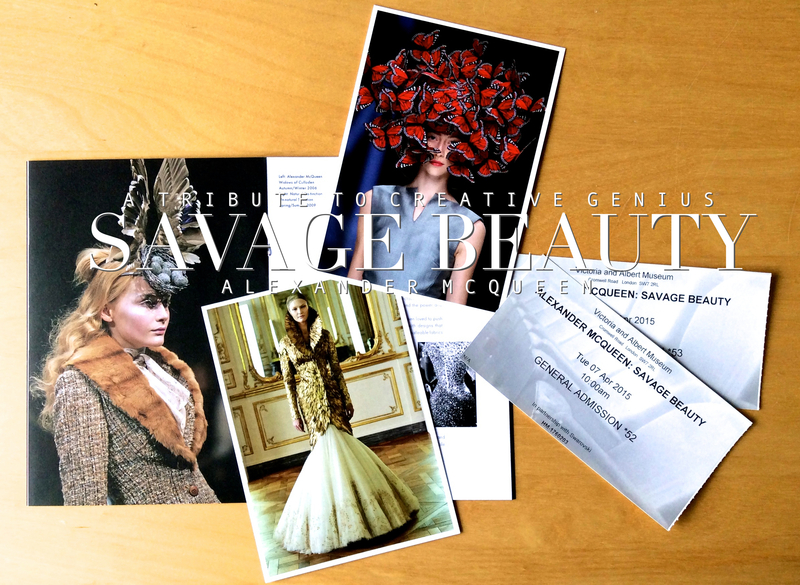 I didn’t think I’d see an equally or even better exhibition any time soon, but then I went to Alexander McQueen’s Savage Beauty in the Victoria & Albert museum. Wow. Just wow. I literally walked around with my mouth open, staring in awe at all the amazing designs. This wasn’t just an exhibition it was more of an 4D experience where you find yourself going through different worlds that arose from McQueen’s wondrous imagination. Each room was decorated in a different way and music was played which fitted the atmosphere and theme of every room. 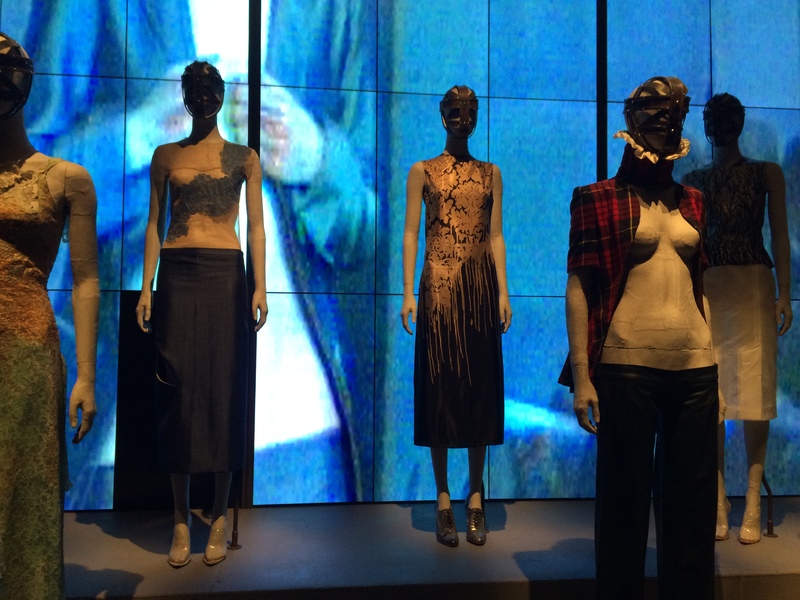 The exhibition starts off rather calmly with the focus on the designs and McQueen’s early life. Then you find yourself in a magnificent and at the same time eerie room where the collection “Romantic Gothic” is displayed. The pieces are dark and romantic, and very expressive which in a way made it seem like they were inhabited by a presence. I must say, quite a lot of McQueen’s pieces gave me the feeling they were alive in some way, which in some ways made this exhibition similar to a haunted house. The next room, a cave made out of bones, featured a collection of “Romantic Primitivism” with pieces inspired by tribes and animals. This forms a sharp contrast with “Romantic Nationalism”. A collection inspired by Scotland and royalty. The pieces seem to be set in a way to simulate a gathering at court. With Scottish royals dressed in the MacQueen tartan on the one side and another royal family (maybe the English?) on the other side. One of my favourite displays was the “Cabinet of Curiosities”. A gigantic room consisting of cabinets filled with accessories in various of the designer’s shows. In this room it becomes apparent that McQueen was inspired by different cultures and species and he used all sorts of material for his designs, from wood to diamonds to feathers to shells. Many of his creations are so ingenious and incredibly beautiful, but a lot of them are disturbing and frightening as well. The designer himself once said: “I want to empower women. I want people to be afraid of the women I dress.” Well, he definitely succeeded. Even without anyone wearing his clothes, they take up a presence in the room. 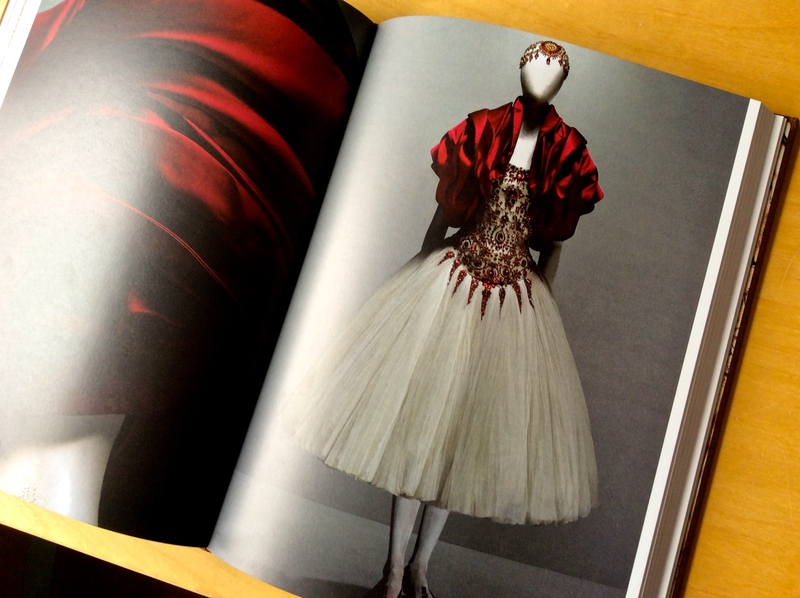 It’s fascinating to see that in all of these completely different collections McQueen incorporated elements of nature. In some of them, “Romantic Primitivism” and “Romantic Naturalism”, this is quite obvious because the designer used animal hair and flowers. In others natural elements are blended in in a very subtle way. “Plato’s Atlantis” for example, at first sight seems to be a futuristic space collection based on extraterrestrial life, but is in fact inspired by Charles Darwin’s On the Origin of Species. All in all, this exhibition is a must see! 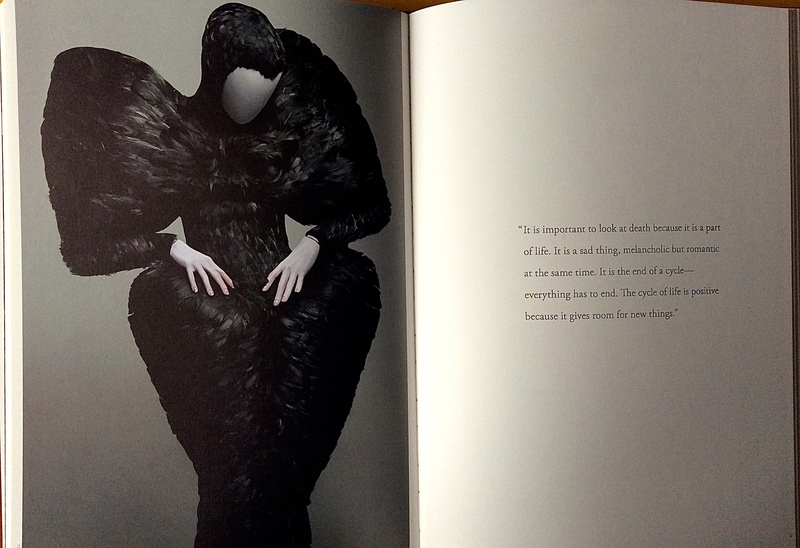 Not just for the fashion lover, but for anyone who would like to be baffled and have a look inside the mind of a creative genius. 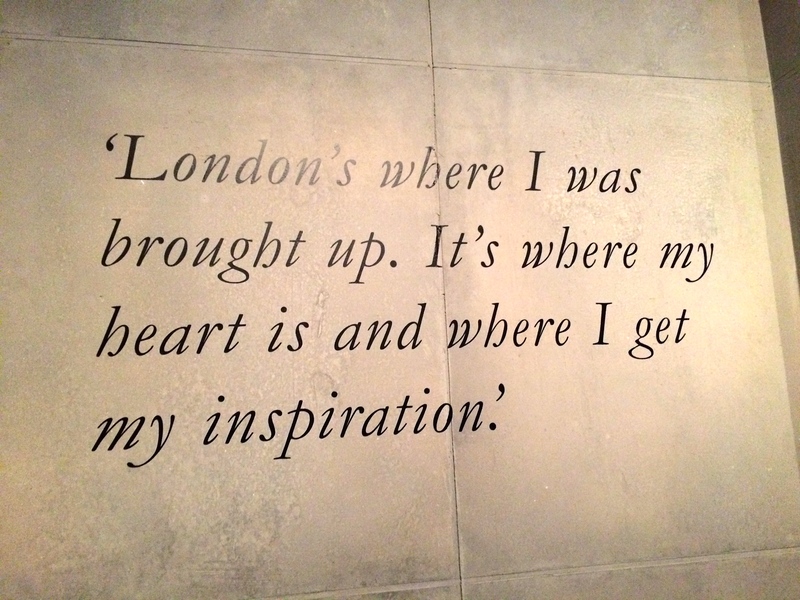 You can see the exhibition in the Victoria & Albert museum until the 2nd of August.